White Sands Hyams Beach is a luxury holiday accommodation on stunning Hyams Beach on Jervis Bay. 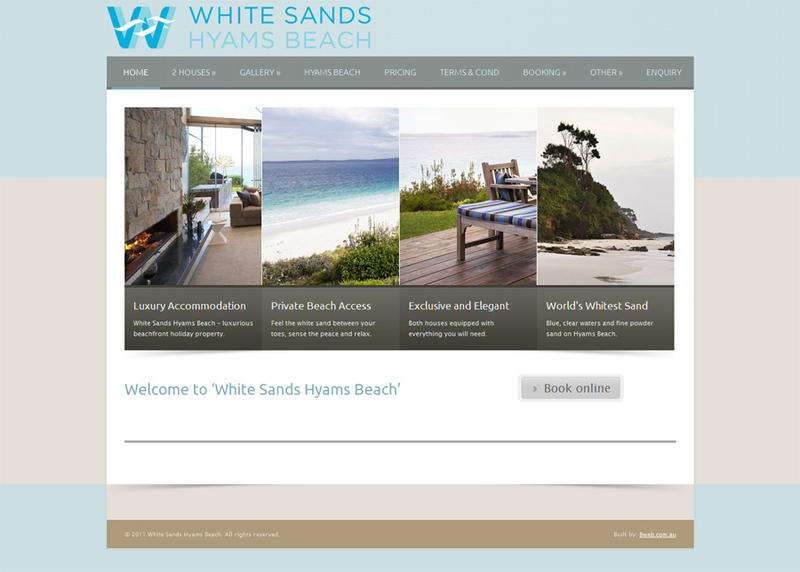 Whitesandshyamsbeach.com was one of our first website projects. Initially the website included a complex booking system allowing live bookings and calculating fees according a complex pricing table. This was later removed and replaced by a simple pricing table and contact form as requested by the client. 8WEB continues to enjoy a strong client relationship and to provide updates and support when requested; and have also worked together on other webdesign projects. We are very pleased with our new website. It is stylish, crisp and upmarket. 8web team listened to our needs carefully. We will definitely be using 8web again!